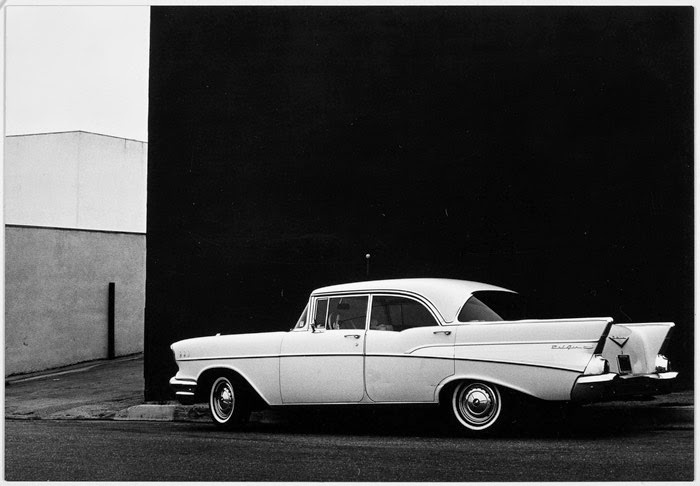 Elsewhere someone asks about ekphrastic poems inspired by photographs, and requests links to the images as well, to use in a writing class. So I gathered these and figured I would post them here too. In Brink, there's a poem called "Back in Seaside." 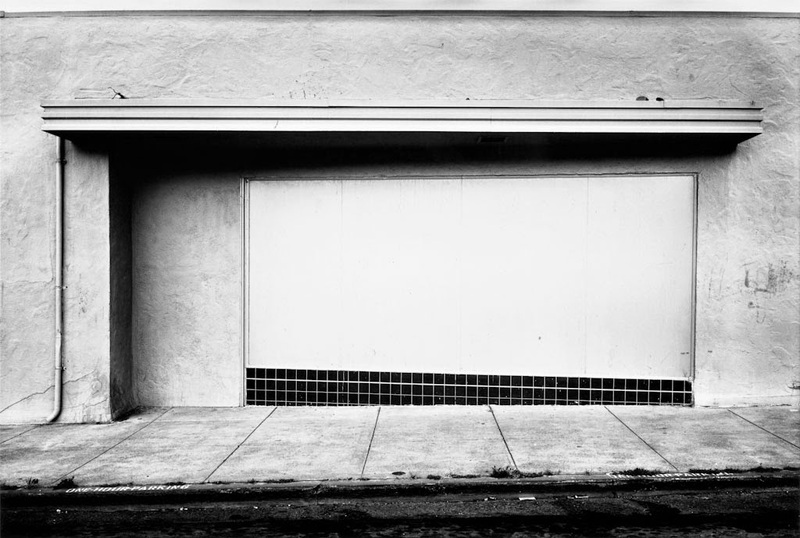 I wrote it in April 2011, after visiting the National Gallery of Art, where I was particularly fascinated by the photography of Lewis Baltz. The show included 50 black-and-white photographs plus a 12-panel color work that was backlit and displayed in a darkened gallery. The only one I mention by name is Seaside 1970, and I remember other images that I can't find online right now. 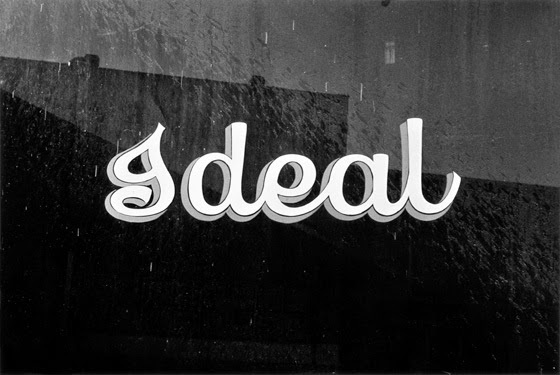 I particularly love the lettering on the glass and the reflection in Ideal. 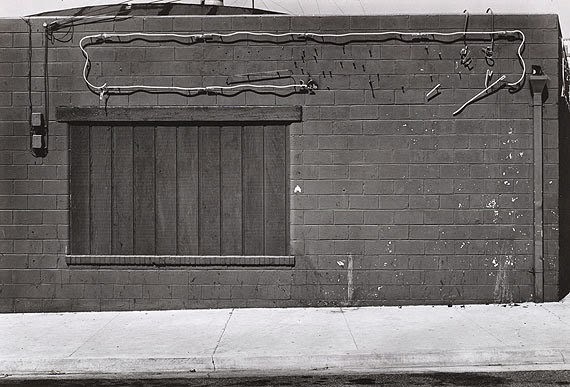 A vocabularly of images repeats and recycles through his work, so other photos that are not part of this series also resonate. Here is the poem (at the Academy of American Poets site, Poets.org). 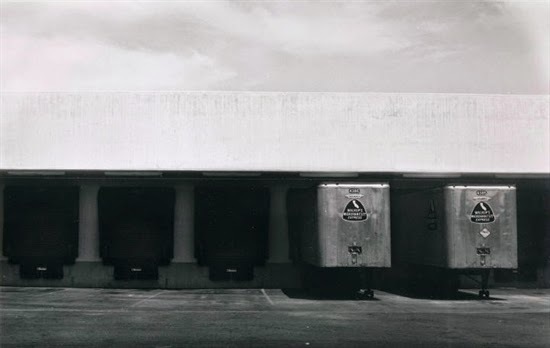 Baltz's photographs only rarely have people in them—so I provided those.